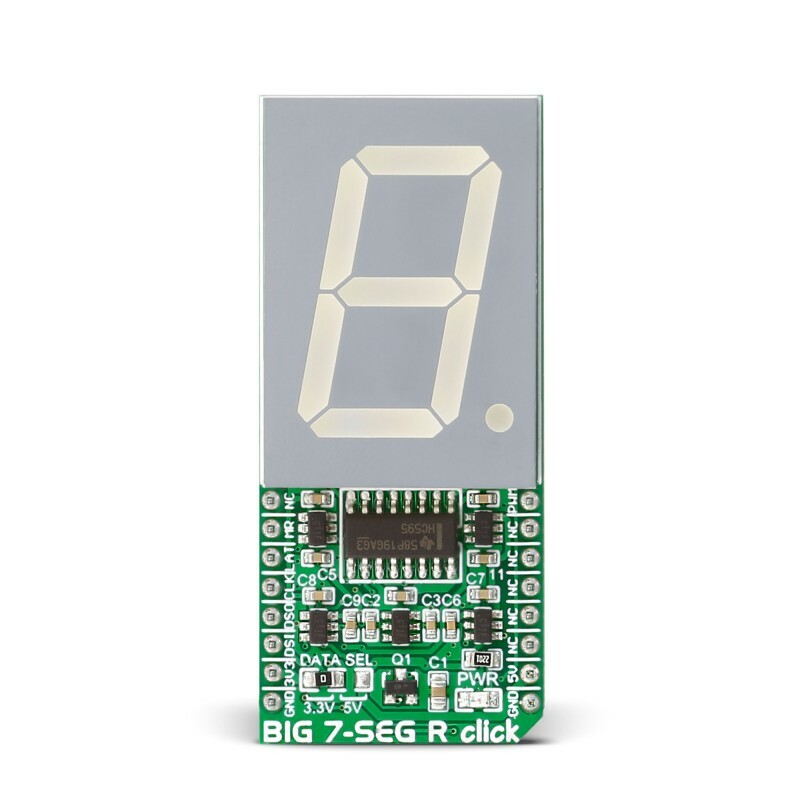 BIG 7-SEG R click is what you need if you want to add a seven-segment LED display to your project. 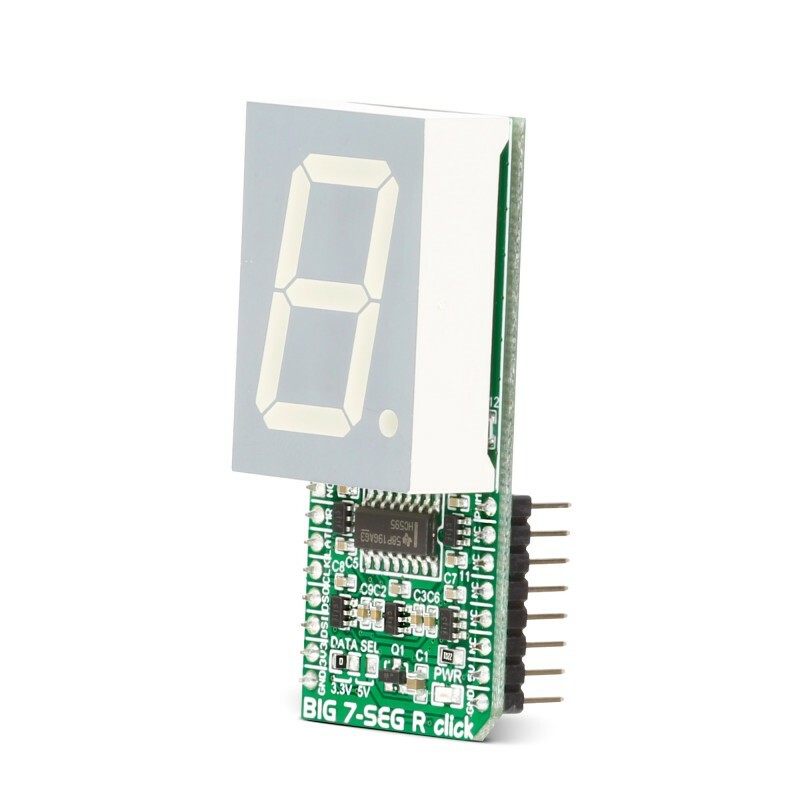 This click features an SC10-21SRWA seven-segment display. 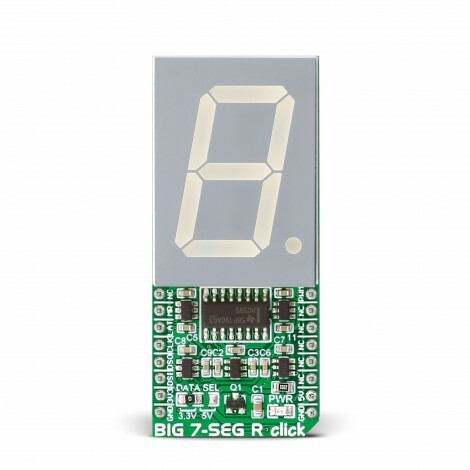 BIG 7-SEG R click is what you need if you want to add a seven-segment LED display to your project. 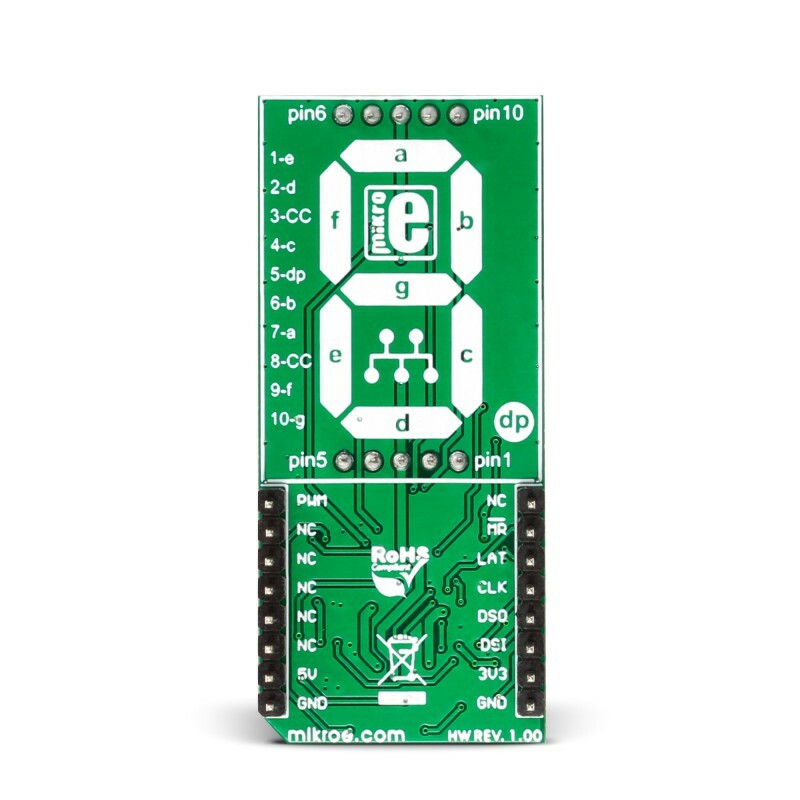 This click features an SC10-21SRWA seven-segment display. Communication between the MCU and the SC10-21SRWA display is established via serial-IN, parallel-OUT shift register 74HC595 IC. The click runs on either 3.3V of 5V power supply and communicates with the target MCU over an SPI interface. The click displays letters, numbers and symbols in highly readable form. It can be used in any simple interface and combined with other click boards. The color of the displayed character is red, as the R in the name of the click states. The light intensity on the display is controlled via the PWM pin on the board. Adding a seven-segment LED display to your device with SPI interface. This table shows how the pinout on BIG 7-SEG R click corresponds to the pinout on the mikroBUS™ socket (the latter shown in the two middle columns). This demo is using BIG 7-SEG R click board to display characters in an endless loop, with fixed time interval whilst changing its PWM duty. This example for STM32F107VC MCU ( EasyMx PRO v7 for ARM ), resets and initializes the BIG 7-SEG R click board takes characters from the static array and displays them while changing PWM duty cycle, all in an endless loop.